I worry about youngest daughter. She is so sensitive to the words and movements of others, she is too vulnerable for this reckless world. I remember the first time I realised it. She was three and had been playing with her big sister and a bunch of friends in the garden. I came out and saw her hiding behind the car, sobbing. The others hadn’t noticed she’d gone. I knelt down. “Oh, my friend, can you tell me what’s wrong?” I asked her. She couldn’t, she could only wet my shoulder with her tears. That night as we lay in bed she told me what had upset her so. Someone had laughed at her (my eldest said it was with not at and don’t we all?) and, well, I guess it was one burden too much for her little heart. Her vulnerability is an ache to bear witness too but I’m deeply grateful for it. She has helped me see everything anew – how normal it is to laugh at children, laugh in love, but nonetheless laugh, (she always stops what she’s doing and looks perplexed at the laugher, a look in her eyes “Why are you laughing at me? – unless she runs behind my legs to hide) or how quick we can be with our cutting words and our shaming judgements. Unlike some other children who bury the burden of being routinely shamed deep inside themselves and who toughen their shell to the experience, my youngest daughter wears the shock of it openly on her face and weeps with the injustice in the very moment it occurs. We shame our children over food, around their toilet habits, we shame them in our everyday communication and we shame them simply for acting like children. This routine shaming of children is a microaggression, contributing to a child’s anger or sadness, to the “tantrums” they have. This shaming is an abuse of adult power, something used to keep children, with their all their gifts of surprise and unpredictability, small. Sometimes it’s done consciously, when an adult uses shame to control a classroom, or when a parent uses shame to change the behaviour of their child. Other times it’s done subconsciously, simply because shaming children is so normalised in our society or as an outworking of every adult’s internalised oppression. We were all small and routinely shamed once and in our worst moments we take this out on our children. You’ll notice two things about the phrases used in this list. One; this commentary is commonplace. Two, this sort of commentary is rarely passed from adult to adult – when it is, it tends to be experienced as extremely rude. Being forced to take time out of activities for certain developmentally normal behaviours and traits such as curiosity, talking, moving. There is no need for shame. It is one of the most powerful and negative things we feel and the effects of it can stay with us for a lifetime. A therapist recently told me that he reckons the majority of his patients are sitting in the chair across from him as a result of being shamed as children or adolescents. The routine shaming of our children reveals the rotten core of our hierarchical society, a society that believes certain people hold more intrinsic value than others. Raising the status of children, recognising their value despite their smallness, is a radical rebuttal to this system. When we choose a shame-free way of being with children and when we stand up against their shaming, we are giving oxygen to this idea that ALL people matter, that EVERYONE has rights, that no group of people deserves to be treated as less than. 1- Keep harsh words inside – address the problem you have later, when you are calm. If you are having trouble staying calm, take a look at how to self-regulate. 2- If you must speak about your children because you are reaching out for support or solidarity, do it out of their presence, in a trusted group or friendship. 4- Ask yourself “Is this building connection with my child or hindering it?” if it is not helping your connection, don’t do it. Your connection with your child is the most important thing they have. if you wouldn’t say what you were going to say or do what you were going to do to an adult you love or respect, do not say it or do it to a child. Of course, only when adults realise that their role isn’t to control children will we ever move fully away from shame as a traditional form of interacting with society’s youngest members. And that is the most important step we can take towards becoming an ally to our children; recognising that our role is to stand by our kids, advocate for their rights, share our power with them, not to erode our connection with them by trying to control them. This is an evolving list of all the ways we shame children. Because awareness is the first step to change. Please share other ways you commonly witness adults shaming children, the way we have normalised shame as a communication tool and method of behavioural control. This is so good! You explain these things so well. Two other examples that pop to mind are the naughty step and elf on the shelf. Thanks for this I’m going to share it. I agree, this is good and I concur with what you say wholeheartedly, with an exception. I am somewhat pondering about manners and ‘magic words’. On occasion, I find gently reminding for please and thank you ‘magic words’ necessary as they are forgotten, but (I find) necessary ones for social interaction. Without politeness as etiquette children and adults are perceived as rude by many in all societies. I also see thank you as linked with gratitude, which is something we wish to encourage. Any advice would be welcome. Thanks! Hi there! We have lots of conversations about how lots of people in society like to hear the words “please” and “thank you” – so when we go to people’s homes who like manners alot, the girls are really good at bringing them out! We also model alot, and recognise that it is the MOST effective way of helping our children get their headd aroundsomething. Eye rolling and sighing when children make a mistake. This is a really great post – shame really is so entrenched in so many of our behaviours. Oh yes, that is REAL. This was very thought provoking. I will be ever mindful in the moment, and take a breath. 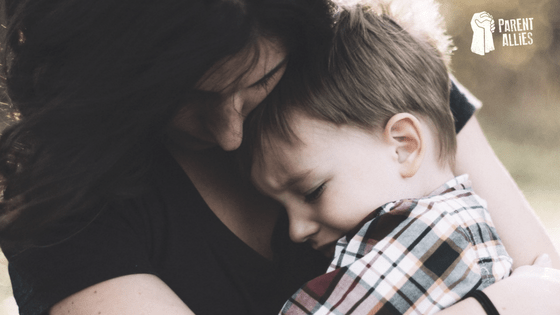 I ask myself often, as adults we do not share, forced to say sorry…etc we all need to really think like the article said, ” would you say, do, request, force a loved one, another adult, friend to do what we expect of our children or grandchild. Oh I don’t know about this…. let’s wrap out kids in bubble wrap instead of teaching them good manners. I don’t consider “don’t forget your manners” as shaming my child- it’s not detrimental to his wellbeing remembering that “please and thank you” are common practice. He learns from me- if I don’t say “please take your plate away, and thank you for helping me” then yes, I cannot expect him to pick up on those manners… and I cannot imagine keeping a straight face when he says something so adorable…come on!!!! I cannot agree on this- I feel like you’re advising me to sugar coat everything and not prepare him for his life ahead because God forbid he doesn’t have a boss or teacher who isn’t sensitive to his ultra protective upbringing…..
It’s really clear to me that you don’t see children as being fully human and fully worthy of the respect you would afford another adult. We are on quite different pages. Yes clearly we are in two different books all together. So because I like my child to say please and thank you I am inhumane? Actually I expect the very same from an adult- manners are vital. I also know first hand that once all grown up and out of mommy’s perfect little world of molly coddling, there is a BIG risk that our children will enter the adult world expecting the same in the work place…what a shock your children will receive when his boss totally loses his temper for the most mundane thing. I cannot see your reasoning on this- my son is well mannered, (and sensitive) but knows very well not everyone has his sweet sensitive nature. I laugh With him so he knows he brings me joy. And I say please and thank you to a 4 year old because I respect him and want that respect reciprocated. Actually, wait- just reading this and I see you were completely right about me- I am clearly an inhumane, belittling robot! Children need structure and discipline. It is not belittling or treating as less than to train a child. In fact, to ignore bad behavior or wrong actions is selfish, lazy, and unloving. I agree that there is a way to do so without demeaning a child, and that takes discipline and gentleness on the part of the parent. I agree with many points, but I do not agree that letting your child do or say whatever they want is somehow demonstrating that I value them. I train, instruct, correct, and discipline because I highly value them and treasure them. I want them to become responsible, wise, well mannered, adults who clearly know right from wrong. I would love advice on meal time! I feel like if I don’t *nag* my children to eat, they’ll be sitting at the table for hours still not having eaten their food. I’m so tired of it, and really don’t know any other way. Hello. Do they like the food you cook? Do they help choose the menu? Can they help you cook? Can you trust that if they are hungry they will eat? I think you’re right. The more I sat with this the other day after reading your article I realized that even if they don’t eat their meal, they won’t starve! I do go out of my way to make meals I think they’ll enjoy. It’s more that they’re busy playing talking etc. I totally get what you’re saying here and I agree, but some of the examples you’ve given are clearly unrealistic. Unless you’ve parented a high needs or strong willed child, you really can’t dictate how we should be managing some of the behaviour. And yes, I say managing behaviour because as parents it is our job to guide children as they grow and learn how to be in the world. My daughter often lies about things so that she can do something different. I’m not going to put up with that. She’s a child, not an adult. She is still forming her ideas and perceptions and learning how to operate in the world. So I’m going to show her why lying isn’t the right thing. Anyway, all I wanted to say was that I appreciate the sentiment but this is not applicable in all circumstances. I think what would be a good addition to this post is a working definition of shame and the difference between that and teaching. Some of these circumstances could really spiral out of control (like the lunch box one in school- although I completely agree most kids don’t get near enough time to eat). One Kids says they are hungry and may really need to eat but then half the class is up getting their food just to distract themselves. We must teach kids that their will isn’t the only will out there. Their desires are valued, THEY ARE VALUED!!! But not the center. Maybe a post on how to do that without shame? If things constantly come up as a problem, it can be really helpful to bring it to the children and come up with ideas about how to solve it together. My “forte” is strong willed children 😀 😀 but the principle is the same – we treat them how we would want to be treated. I absolutely agree we are their guides – this guiding can be done without shame! Micro aggressions are less about the content, and more about the delivery. Guiding our children in their behavior can be done without micro aggressions in our tone of voice, turn of phrase, body language and talking about them like they’re not in the room. Microagressions are just the small, everyday ways in which people experience a form of oppression. So it is content and delivery, it is found in our actions and also our subconscious. I agree that we can guide our children without shame. Our children, grandchildren etc have been taught to ask for a thing including saying please, not say it as though they are demanding something, A lady I know sends her youngster his room for a couple of minutes to sit quietly and think about why he is sad. It gives her a couple of minutes to calm down if she needs so she doesn’t say something she might regret later. She asks him what he is upset about. They have a quiet conversation about it after he has told her. If he has done something wrong he usually seems to know. She always explains to him on “his” level why it is wrong. Some things that just upset him she just talks to him quietly to pacify him. He has been told it’s OK to feel sad. Sometimes they reach a compromise about things. No raised voice is necessary and should not be used.